Rear cover notes: "Peoples of Southwest Ethiopia is an anthropological study written for agents of change. It is a 'must' for missionaries, health workers, teachers, veterinarians, peace corps and other social workers and all who are cross-culturally engaged in the processes of nation-building. The book makes use of basic anthropological theory, but does so in a popular manner which will be appreciated by non-anthropological readers. It is exciting for its own sake as a picture of Southwest Ethiopia - the region along the borders of Sudan and Kenya, where the 'winds of change' are beginning to blow. As a description of this area at this particular point of time the book will probably endure as a significant contribution to the study of man. 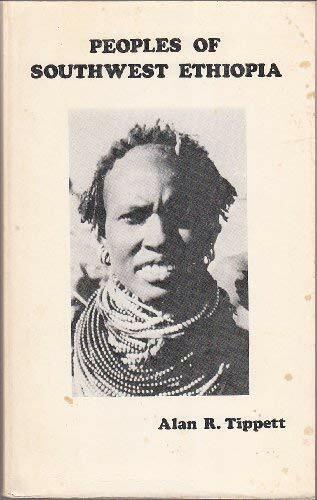 The research behind this book was sponsored by COEMAR at the request of missionaries in Ethiopia, who felt the need for anthropological advice in their field program. However it is not a missionary book. It covers the social life, marriage customs, legal, economic and magico-religious structures in seven little-known tribes. The 'spot-light' is thrown on culture clash and all kinds of innovation which are part of the scene. The author regards it as research in progress rather than a final word on the subject. He sees the situation as dynamic, and sets out to share it with his readers...."